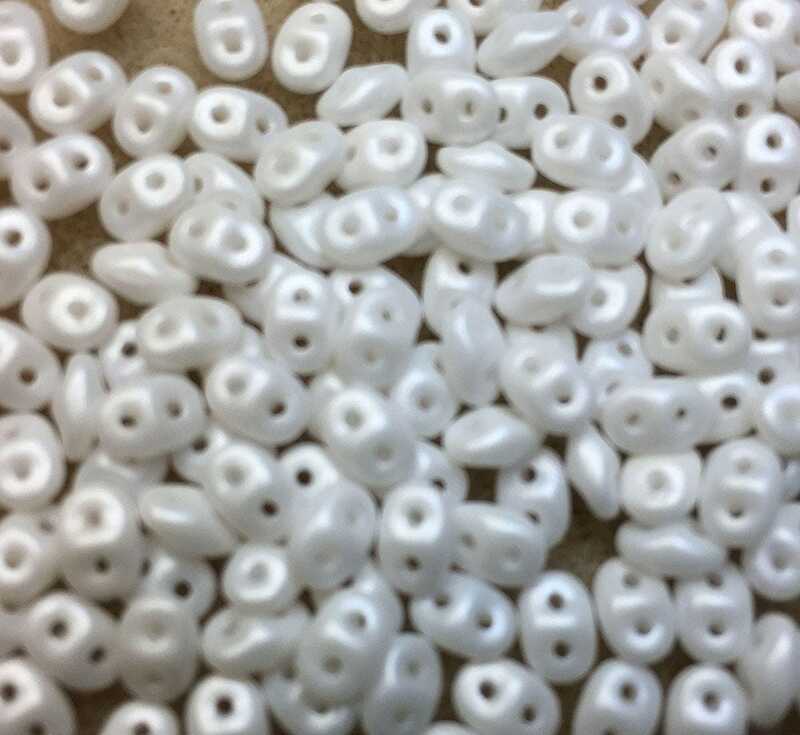 2.5x5mm Pearl Shine White two hole Czech pressed glass super duo seed beads. I love the color. I can't wait to make a necklace with them!